Hello! Welcome to our website! My name is Sam Gross. 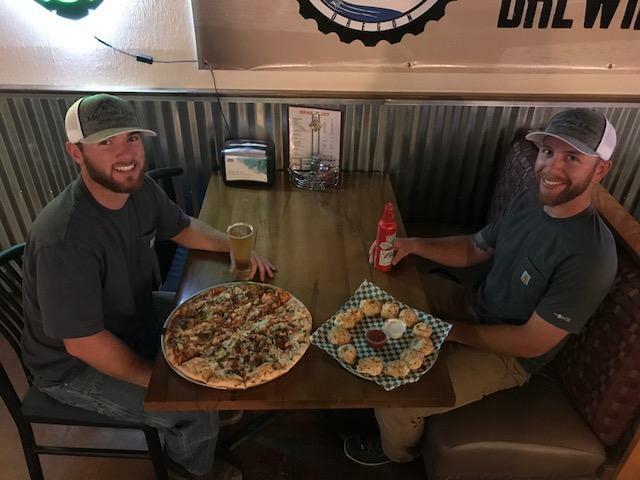 My family and I started Loggers Pizza in 2009. The reason was simple; the two previous pizza places that existed at location, Chief Cheezers & Fire Chief, had the best pizza in town and we wanted to bring it back. With the help of some terrific people, and with many tireless hours put in by my mom, uncle, and grandpa, Loggers opened its doors on May 1st, 2009. Since that date, we have perfected our pizzas and pinwheels. In 2013, Loggers was voted the Best Pizza in Douglas County, and has earned that honor every year since. Since then we moved, added burgers, sandwiches, pub grub and a full bar. We feel very honored that our community has voted us #1. We feel that we’ve earned this title because of our commitment to quality ingredients and practices. The dough is made from scratch and has a mild sourdough flavor. Our sauces are made with fresh herbs. And we use the best mozzarella and toppings on the market. We also have gluten-free available. Loggers Pizza is veteran owned and family run. 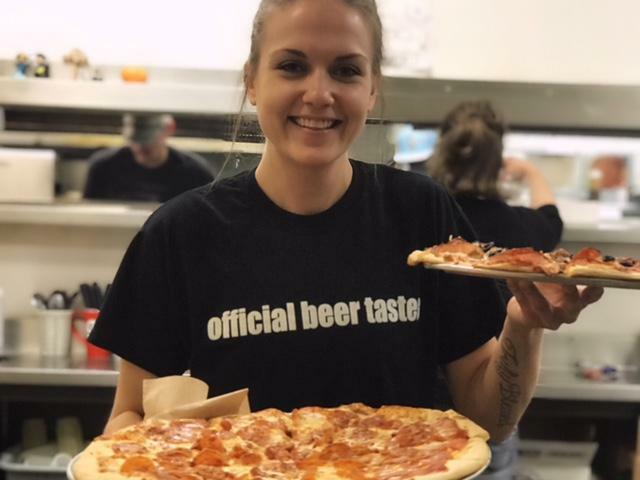 We look forward to serving you and bringing you into the Loggers Pizza family. Jim Fox & Family, local entrepreneurs and owners of Fox Den. Herm & Sherry Oberholzer, former owners of Chief Cheezers. third generation born and raised in Douglas County. RHS graduate of '97. University of Oregon graduate of '04. MBA and former Army officer. Currently works for Douglas County. Native Oregonian. Former veterinary technician. Currently a Junior in college. manager & Sam's mother; born and raised in Grants Pass. Moved to Roseburg in 1974. Formerly a meat wrapper for Fred Meyer and manager for Holiday Retirement. Sam's brother-in-law and the fastest pie man around. Former employee at FCC. Unfortunately he is a USC fan. Moved to Roseburg area in 1987. Formerly manager for Holiday Retirement. Born in Lakeview and raised in Roseburg. Mother of two: Nathanuel & Isaac. Born and raised in Grants Pass. Moved to Roseburg in 1979. Formerly a distributor for Pepsi & Coke and salesman for Horizon.